Blue Water Highway will perform Saturday at Hoots Pub. If you're looking for music, look no further: Here's your all-inclusive guide to tunes through June 29. 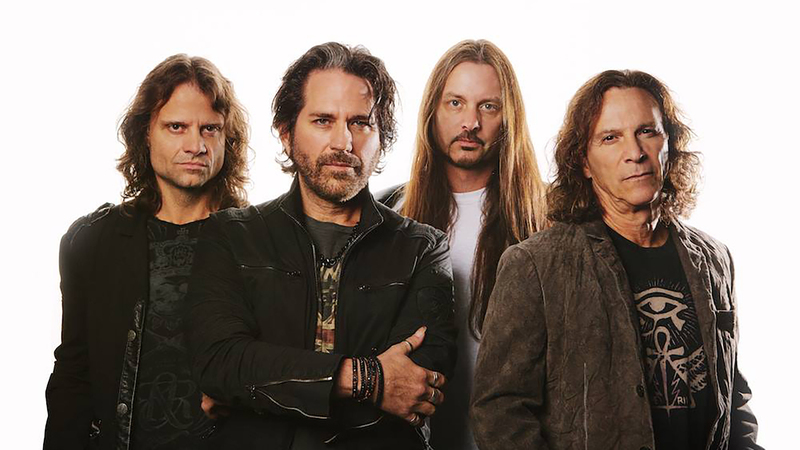 '80s rock stars Winger will perform Friday at the Clovis, N.M., Music Festival. Country troubadour Dan Lesperance will play at 7 p.m. at Wild Bill’s Fillin’ Station, 3514 S.W. Sixth Ave. No cover. Call 806-372-4500. Celebrate 30 years of the Clovis Music Festival in honor of Norman and Vi Petty and other pioneers with '80s favorites Winger and Firehouse at 7 p.m. MDT at Marshall Auditorium, 100 Commerce Way in Clovis, N.M. Tickets $20. Call 575-763-3435. Fort Worth soul band The Trials will perform at 8 p.m. at The Big Texan Starlight Ranch, 1415 Sunrise Dr. Cover $8. Call 806-678-7002. Amarillo singer-songwriter Mike Fuller will perform at 8 p.m. at The Burger Bar, 614 S. Polk St. No cover. Call 806-376-4700. Amarillo piano man Jason Patrick will perform at 8 p.m. at Cowboy Gelato Smokehouse, 6103 S. Coulter St., Suite 200. No cover. Call 806-376-5286. Amarillo country band Next to Kin will perform ​at 8 p.m. at Gerb's Wurst Bar, 7415 S. Bell St. Cover $10. Call 806-398-9991. The Killing Dueling Pianos continues with Tom Basler and Tim Georgeff at 8 p.m. at I Don't Know Sports Bar & Grill, 1301 S.W. Sixth Ave. Cover. Call 806-331-7985. Amarillo classic rock band Jackie Haney & Geezers Gone Wild will perform at 8 p.m. at Joe Daddy's, 2108 Paramount Blvd. No cover. Call 806-463-7900. Esquire Jazz Quartet will perform at 8 p.m. at Metropolitan — A Speakeasy, 9181 Town Square Blvd. No cover. Call 806-242-0117. Amarillo country singer RC will perform at 8 p.m. at Ranch House Club, 7117 River Road. No cover. Call 806-381-1213. Amarillo singers Stephanie Brackett and Ryan Callis will team for at 8 p.m. show at Smokey Joe's, 2903 S.W. Sixth Ave. No cover. Call 806-331-6698. Amarillo country singers Tommy Gallagher and Johnathan Torres will team for an acoustic show at 8 p.m. at Trail Boss — The Line Shack, 2813 S.W. Sixth Ave. No cover. Call 806-418-8866. Amarillo rock band Mind Plays, featuring Sativa Ro, will play at 8:30 p.m. at Rounders Club, 2801 Virginia Circle. No cover. Call 806-352-3317. Amarillo rock band Hed Change will perform at 9 p.m. at MacDaddy's, 1221 S.W. 10th Ave. No cover. Call 806-373-9149. Amarillo rapper Joey Jonez will perform at 9 p.m. at Zombiez Bar & Grill, 711 S.W. 10th Ave. Cover $5. Call 806-331-7305. West Texas singer Chad Miller will perform at 9:30 p.m. at Butler's Martini Bar, 703 S. Polk St. No cover. Call 806-376-8180. DJs Rupert the Duke and Corbin Cary will spin at 10 p.m. at Austin's Texas Pub, 3121 S.W. Sixth Ave. Cover $5. Call 806-803-9063. Texas country singer Josh Ward will play at 10 p.m. at Hoots Pub, 2424 Hobbs Road. Cover. Soul-rockers Shawn James & The Shapeshifters will play at 10 p.m. at Leftwoods, 2511 S.W. Sixth Ave. Cover $5. Call 806-367-9840. Amarillo rock band Hangman will play at 10 p.m. at Whiskey River, 4001 S.W. 51st Ave. Cover $7. Call 806-367-6163. 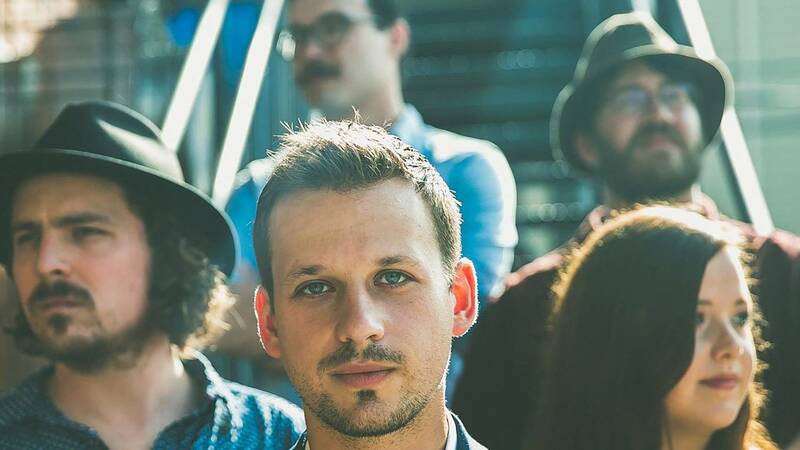 Tyler Wilhelm & A Few Dollars More will perform Saturday at Austin's Texas Pub. DJ Rupert the Duke will spin between around 10:30 a.m. at the Amarillo Community Market around the Amarillo Chamber of Commerce building, 1000 S. Polk St. No cover. Amarillo / Colorado indie rock band Dear Marsha will perform at 1 p.m. at Golden Light Cantina, 2906 S.W. Sixth Ave. Cover. Call 806-374-9237. Country troubadour Dan Lesperance will play at 6 p.m. at The Handle Bar & Grill, 3415 S.W. Sixth Ave. No cover. Call 806-803-9538. Amarillo classic rock band Jackie Haney & Geezers Gone Wild will play at 6:30 p.m. at Joe Taco, 7312 Wallace Blvd. No cover. Call 806-331-8226. Amarillo folk singer Tennessee Tuckness will perform at 6:30 p.m. at Pescaraz, 3415 S. Bell St., Suite K. No cover. Call 806-350-5430. West Texas singer Chad Miller will play at 6:30 p.m. at Wild Bill’s Fillin’ Station, 3514 S.W. Sixth Ave. No cover. Call 806-372-4500. DJ Frank Wylie will provide dance tunes at 7 p.m. at the Amarillo Veterans of Foreign Wars Post 1475, 1401 S.W. Eighth Ave. Cover $5. Call 806-373-3521. Amarillo folk singer Yvonne Perea will perform at 8 p.m. at The Burger Bar, 614 S. Polk St. No cover. Call 806-376-4700. Canyon country band WIld Boomer & The Ghost Ranchers will play at 8 p.m. at Cowboy Gelato Smokehouse, 6103 S. Coulter St., Suite 200. No cover. Call 806-376-5286. The ladies of Amarillo jazz band The Fwoops will perform at 8 p.m. at Metropolitan — A Speakeasy, 9181 Town Square Blvd. No cover. Call 806-242-0117. 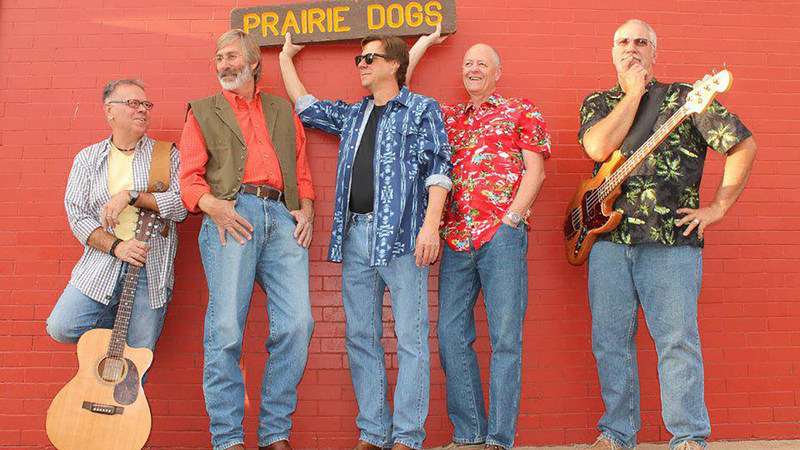 Amarillo rock band The Average Joes will perform at 8 p.m. at Smokey Joe's, 2903 S.W. Sixth Ave. No cover. Call 806-331-6698. Amarillo rock band Mind Plays, featuring Sativa Ro, will perform at 9 p.m. at Broken Spoke Lounge, 3101 S.W. Sixth Ave. No cover. Call 806-373-9149. Denver indie band Maury Ave. will perform at 9 p.m. on the patio at Zombiez Bar & Grill, 711 S.W. 10th Ave. Cover $5. Call 806-331-7305. Regional country band Gary Nix & West Texas will perform at 9:30 p.m. at Western Horseman Club, 2501 E. Interstate 40. Cover $5 for men, free for women. Call 806-379-6555, ext. 2999. Country band Tyler Wilhelm & A Few Dollars More will perform at 10 p.m. at Austin's Texas Pub, 3121 S.W. Sixth Ave. Cover $5. Call 806-803-9063. Americana singer-songwriter Robert Nathan Taylor will perform at 10 p.m. at Golden Light Cantina, 2906 S.W. Sixth Ave. Cover. Call 806-374-9237. Americana band Blue Water Highway will perform at 10 p.m. at Hoots Pub, 2424 Hobbs Road. Cover. Oklahoma electronica band Montu will play at 10 p.m. at Leftwoods, 2511 S.W. Sixth Ave. Cover $5. Call 806-367-9840. 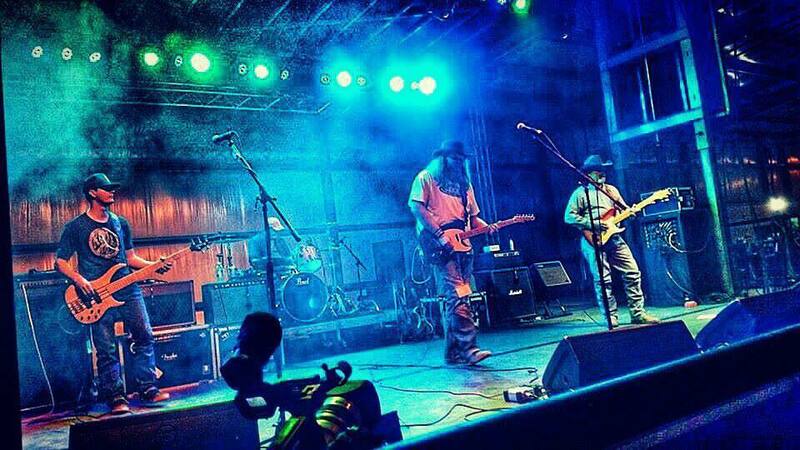 Lubbock country band Farm Fresh Frejoles will perform at 10 p.m. at Whiskey River, 4001 S.W. 51st Ave. Cover $7. Call 806-367-6163. Dear Marsha will perform Sunday at Panhandle Pride Festival in Memorial Park. 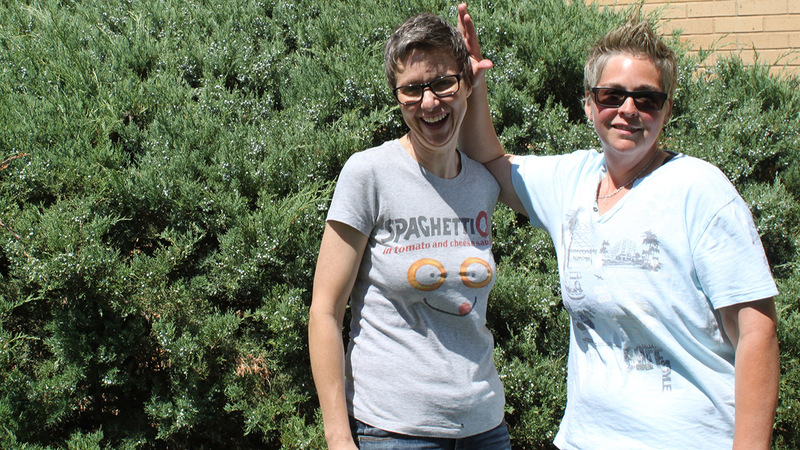 Amarillo singer-songwriter Mike Fuller and Amarillo / Colorado indie rock band Dear Marsha will perform during the Panhande Pride Festival between noon and 6 p.m. Sunday at Memorial Park, 2600 S. Washington St.. No cover. Amarillo rockers Adrian Lambert and Pony Hernandez of Loaded Six will host an outdoor open jam at 4 p.m. at MacDaddy's, 1221 S.W. 10th Ave. No cover. Call 806-373-9149. Hip hop acts Mr. Hooper and Mr. P. Chill will perform at 10 p.m. at Leftwoods, 2511 S.W. Sixth Ave. Cover $5. Call 806-367-9840. The Prairie Dogs will be featured Tuesday at Starlight Theatre at Sam Houston Park. Country troubadour Dan Lesperance will play at 6 p.m. at Rounders Club, 2801 Virginia Circle. No cover. Call 806-352-3317. Amarillo country-folk band The Prairie Dogs will perform at Starlight Theatre at 7 p.m. at Sam Houston Park, Line Avenue and Western Street. Free. Amarillo College jazz instructor Jim Laughlin, along with current and former students, will perform in the final June Jazz concert of the season at 7:30 p.m. on the Amarillo College Experimental Theatre lawn on the Washington Street campus. Free. Amarillo singer-songwriter Maggie Burt hosts an open jam at 9 p.m. at Hoots Pub, 2424 Hobbs Road. No cover. Call 806-358-9560. Buster Bledsoe hosts an open-mic night at 9 p.m. at Throwbacks Sports Bar, 7150 S. Bell St. No cover. Call 806-418-4482. Rock band Sierra will perform Wednesday with Witches of God at Leftwoods. Cast members of Amarillo College Summer Youth Musical production of Fiddler on the Roof will perform, with sausage wraps from the American Quarter Horse Association cook team, at 11:45 a.m. on the grounds of the Potter County Courthouse, Sixth Avenue and Tyler Street. Lunch is $8 or $75 for season-long punch card; music is free. Call 806-372-6744. Rock band Sierra and Witches of God will perform at 10 p.m. on the patio at Leftwoods, 2511 S.W. Sixth Ave. Cover $5. Call 806-367-9840. 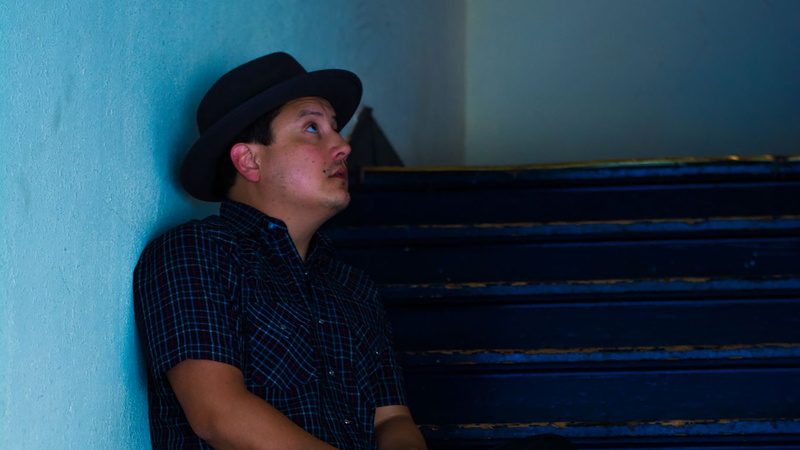 James Cook will perform Thursday at Golden Light Cantina. Amarillo classic rock band Jackie Haney & Geezers Gone Wild will play at 6 p.m. at Joe Taco, 7312 Wallace Blvd. No cover. Call 806-331-8226. Lubbock singer-songwriter Ryan Zink will play at 6 p.m. on the patio at On The Border Mexican Grill & Cantina, 2401 Soncy Road. No cover. Call 806-553-3900. Amarillo country act The Buster Bledsoe Band will perform at 6 p.m. at 7 Bar & Grill, 3130 S. Soncy Road. No cover. Call 806-358-2222. Country troubadour Dan Lesperance will play at 6 p.m. at Wild Bill’s Fillin’ Station, 3514 S.W. Sixth Ave. No cover. Call 806-372-4500. Cover band Insufficient Funds will perform at 7 p.m. for the Music in the Gardens series at Amarillo Botanical Gardens, 1400 Streit Drive. Admission $5 garden members, $10 ages 13 and older. Lipscomb country singer R.J. Vandygriff will perform will perform at 7:30 p.m. at The Big Texan Starlight Ranch, 1415 Sunrise Dr. Cover $10. Call 806-678-7002. Cover band Velvet Funk will perform at 7:30 p.m. for the June Jams series at Neblett Park, 15th Street and Sixth Avenue in Canyon. Free. Wichita Falls-based Americana singer-songwriter James Cook will perform at 10 p.m. at Golden Light Cantina, 2906 S.W. Sixth Ave. Cover. Call 806-374-9237.